The 'Munich Jewellery Week' is the biggest event of it’s kind in the world. 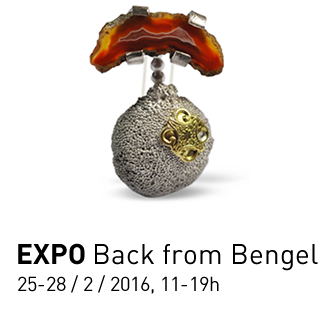 More than hundred contemporary jewellery exhibitions can be visited throughout the city. For the sixth year in a row Peter Vermandere will be presenting his latest works at the 'Atelier von Gierke-Berr'. In April "Back from Bengel” will also be on view at Galerie Zijsprong in Antwerp. Hope to see you soon in Munich or in Antwerp.